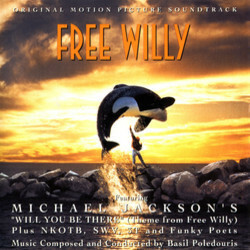 How someone could have thought that titling a film Free Willy wouldn't raise more than a few impudent sniggers, I don't know, but yet it happened and the result was a successful 'kid frees animal' story that took up where Flipper left off, spawning two sequels, as well as a number of similar films, Andre and a big screen version incarnation of Flipper himself. 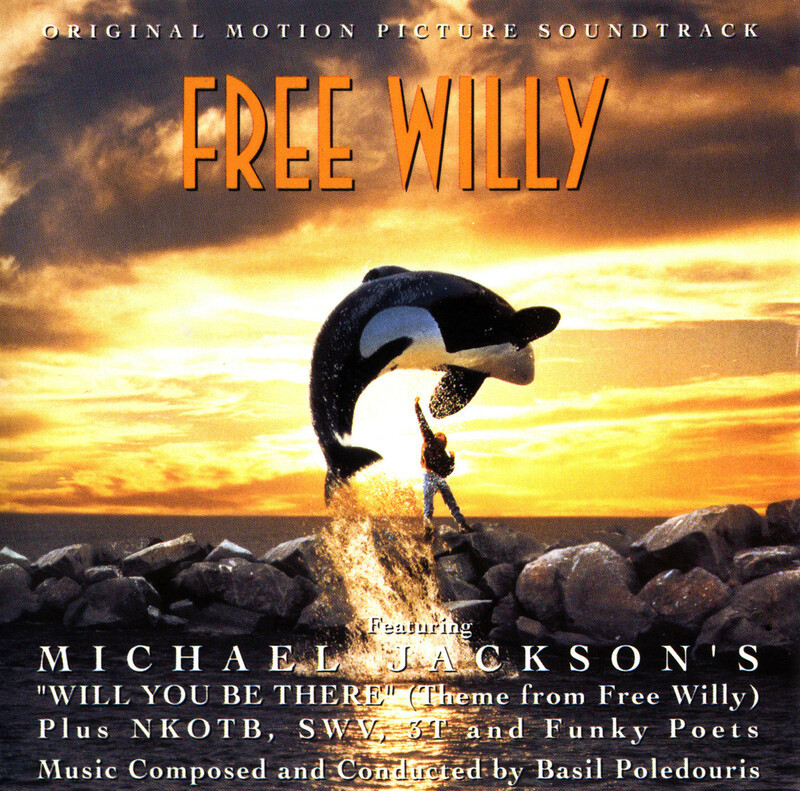 In the days when Michael Jackson didn't have any number of accusations and Martin Bashir documentaries hanging over him, having him pen the theme tune was undoubtedly something of a coup for the producers, although Will You Be There (which, in a possibly Freudian slip, I originally typed as Willy You Be There) is Jackson doing his gentle, world anthem type thing, the sappy antidote to a writer who used to be edgy and inventive. Still, it's more memorable than any of the other entries, particularly from 3T made up of Jackson's relatives and the truly awful NKOTB - the group formerly known as New Kids on the Block who, ironically, became old very quickly. 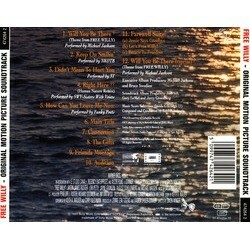 Although there are half a dozen songs, Basil Poledouris gets a solid half of the album's running time. 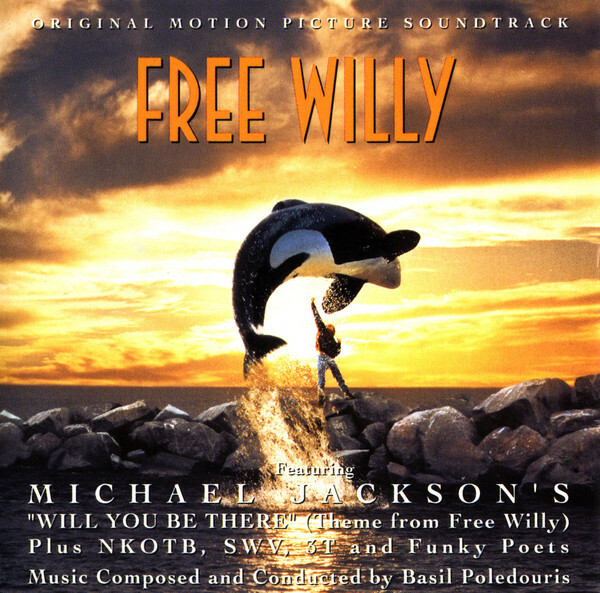 Poledouris isn't exactly renowned for his scoring of kids' films, but Free Willy is a likeable enough effort, even if the twinkling synths (similar to his score to Wind) become just a touch tiresome after a while, not to say a little naff. The main theme is pleasant enough, but is just a bit too cute for its own good, the result is that most of the score has a somewhat saccharine feel until the Farewell Suite where some of Poledouris' Hunt for Red October synths and a little tension is injected, albeit in preparation for the heart warning finale as Willy is finally freed - or at least freed to appear in the sequel.